Most people aren't aware that when you cook meat (whether it's grilled, broiled, or seared) there are carcinogenic compounds that can form called HCA's (heterocyclic amines). Now don't panic...you ingest various carcinogens all the time, even with some vegetables. You can always protect yourself with more antioxidants. Please Note: When you cook meat in a water base as opposed to grilling, broiling, or searing, you eliminate the HCAs. So for example, meats cooked in a soup, or meats cooked in a crock pot will not have the problem of the carcinogenic HCAs and is a healthier way to cook meat. But let's face it... grilled meat tastes awesome and there's no way I'm giving up my grass-fed steak from the grill, or my grass-fed burgers! If you're going to grill meats, marinating meats for hours beforehand in liquid mixtures that contain rosemary and other herbs/spices can dramatically help to reduce HCA's (heterocyclic amines), which are carcinogenic compounds that can form when meats are grilled. So using rosemary, thyme, garlic, oregano and other spices in a meat marinade before grilling meats can drastically reduce any carcinogens that normally would form on grilled meat. The antioxidants in rosemary and thyme from a marinade were specifically cited in studies at being powerful inhibitors of HCA formation when grilling meats. But it was also noted that other spices such as garlic, oregano, and others can help to prevent HCA formation as well, so I suggest using a variety, which tastes great anyway! Remember that the more well-done a meat is cooked, the higher concentration of carcinogenic HCA's can form, so rare, medium-rare, or medium are healthier choices than well-done. I've never understood why anybody would want to ruin a good steak by burning it to oblivion anyway. But hey, if you're one of those folks that likes your steaks well-done, just remember that you're eating a lot more carcinogens than a steak that's cooked less, so make sure to load up on your antioxidants (spices, teas, berries, etc) to help combat those extra carcinogens. 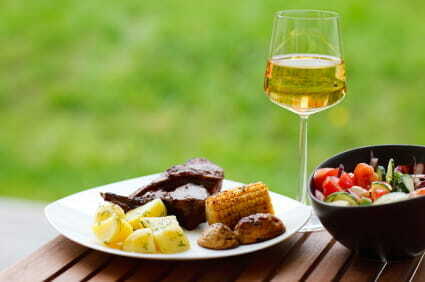 Washing down your barbequed meal with a glass of unsweetened iced tea (rich in antioxidants) and also a good salad with lots of raw veggies can provide the antioxidants needed to counteract the effect of HCAs in your body from grilled meat. 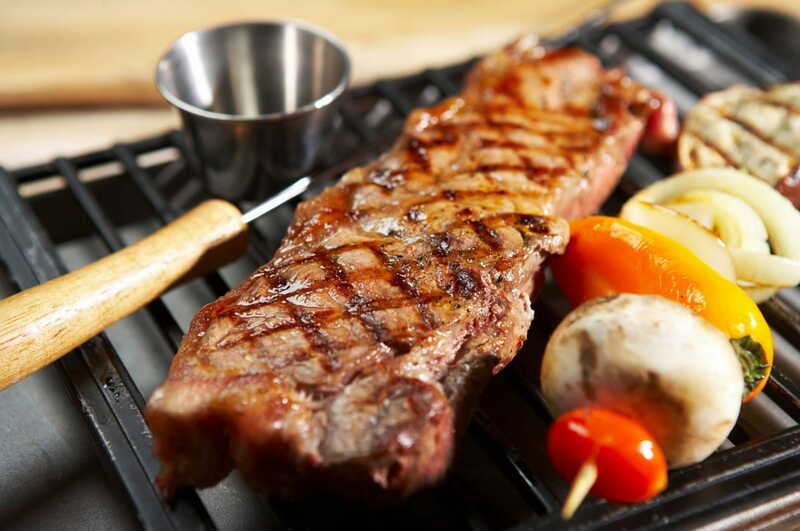 By the way, even charring vegetables on the grill creates different carcinogens such as acrylamides, so don't think that the negative effect of charring only applies to meats. Hey, we all love a great barbeque, so no need to give that up just because of HCAs or acrylamides, but at least now you know how to counteract the effects of these in your body to protect yourself, and also how to use spices to drastically reduce the formation of HCAs on grilled meat! Lastly, did you know that the TYPE of meat you may be grilling on a regular basis can be destroying your metabolism and health? However, you really need to pay attention to the type of meat you’re purchasing. While many health and medical experts caution the consumption of meats claiming they can “cause heart problems,” and many other scare tactics, there are no scientific studies showing this when you're talking about high quality, organic and pasture-raised meats. Most of the negative studies on meat refer to processed meats laden with chemicals, such as hot dogs or lunch meats, but not a good grass-fed steak. Animals that are raised in high-population commercial farms are fed mostly corn, corn by-products, and other grains, that completely change the chemistry of the meat you’re preparing. They turn an otherwise healthy & fat-fighting meal into a health-destroying, inflammtory, fat-GAINING meal. So the next time you’re at your local butcher or grocery store, make sure to seek out the highest quality pasture-raised meats, loaded with more vitamins, minerals, and healthy fats. Not only will they taste better, but they’ll also be much better for your waistline and health.